Hot lather dispensers enable you to heat your preferred shaving lather or gel and dispense it at your discretion to enjoy a smooth and hot shave. Whether you are a professional barber or just somebody that enjoys a close and comfortable hot shave, hot lather is the way to go. Hot lather will actually soften facial hair, which means that you or your customer will experience significantly less discomfort while they are getting a close shave. T﻿he Conair Hot lather machine is a popular option, great for one-handed use, that will heat up in under one minute and functions using standard-sized or large-sized cans of shaving cream. It has received mostly positive feedback from users we spoke with who advised to shake the unit a bit before turning on to ensure that the lather will come out correctly and not just hot and watery. That said let's take a look at five of the best-selling hot lather dispensers on the market today and see how they compare. The Conair HGL1NR/HGL1R Conair Gel and Lather Heating system is a hot lather dispenser that helps to make shaving a more comfortable experience. This hot lather dispenser is not expensive and features a variable temperature control which helps to keep the gel consistent during use. Some of the hot lather dispenser users have commented on how nice of a shave it gives them, one that is smooth, quite close and very comfortable. 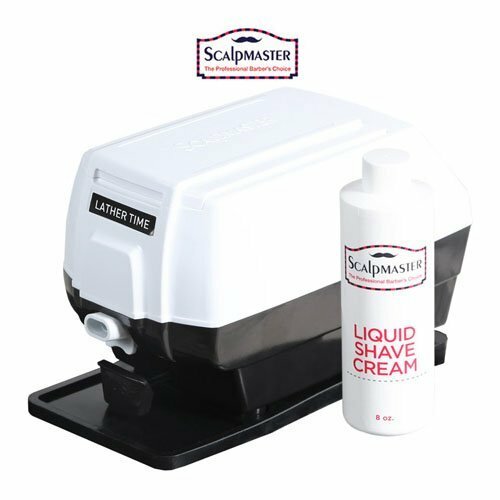 This hot lather dispenser unit heats up both regular shaving cream as well as gel and it has a nice indicator light that lets the user know when it is ready for use. Users agree that it heats up quite quickly and the cream or gel comes out of the dispenser nicely and very warm which makes for a very warm and soothing shave in the mornings. Users have said that the Conair Gel and Lather heating system does all that it claims to do and is a quality product, especially for the price. One of the things that some users didn’t like however is that with some of the gel cans for the hot lather dispenser, it was difficult to get the cans into the dispenser and it took a few tries to get the job done, however, after that it fit in nicely and there were no more issues. Other users also felt that it dispensed the gels and creams a little to slow. The Lather Time Professional Hot Lather Machine is a hot lather dispenser that has a variety of different features such as easy push button system for easy dispensing of creams, has an extra large cup for soap, comes with an eight-ounce bottle of liquid shaving cream has a non-slip safety rubber pad and a handy cleaning brush. Many users have commented on quietly this hot lather dispenser is and how hot and moist the cream is once it is dispensed. The Lather Time hot lather dispenser also has a variety of hair cloths that users have found helpful because the options are a poly/cotton, old fashion haircloth, traditional poly/cotton, black and white striped cloth as well as an extra large neckcloth that is great for those with larger necks. The hot lather dispenser includes a nice clip to help fasten the cloths around the user’s neck for ease of use. A common complaint of a lot of users however is the fact that it takes about an hour to warm up the hot lather dispenser. Another issue some users seemed to notice was that the machine sometimes tends to leak water and soap mixture and can cause somewhat of a mess while using the hot lather dispenser. 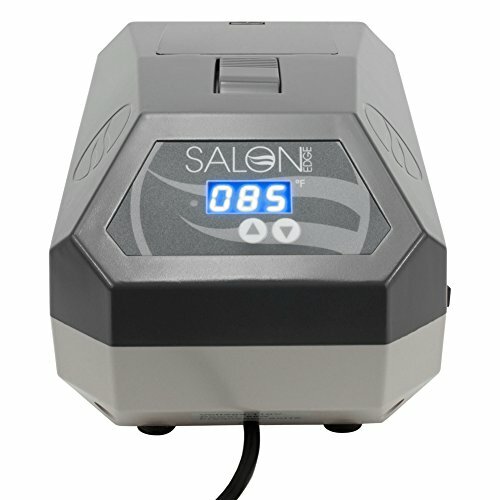 The Salon Edge Lather Machine is a hot lather dispenser that is quite easy to use and is designed to give the user a nice warm and comfortable lather with just one push of a button. Many users enjoy the nice LED feature of this hot lather dispenser that displays the constant temperature of the shaving cream or gel as well as the control buttons it has for personal temperature control. Another thing that users like about this hot lather dispenser is the fact that it heats ups somewhat faster than other models with it just taking 10 to 15 minutes to warm up either shaving cream or shaving gel. They also like the ability to actually choose what temperature they would like for their cream or gel to be at when the dispenser is ready to dispense the gel or cream for use. Some users didn’t like the idea however that the Salon Edge dispenser did not come with any kind of instruction on how to operate the unit properly making it difficult to figure out how to set it in order to get a hotter, thicker lather. This unit also seems to need to have the cup refilled often which some users didn’t like about the unit. 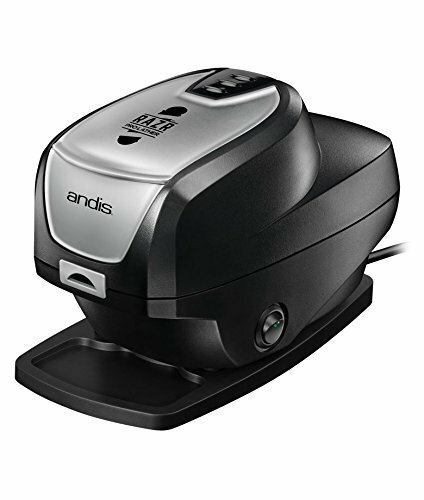 The Andis RAZR Pro Lather machine is a hot lather dispenser that is a compact size and is lightweight and includes non-slip rubber feet that most users found as a good feature for this particular type of unit. It has its own shaving cream that is included free along with some Old Spice Body Spray that is included with the purchase price. 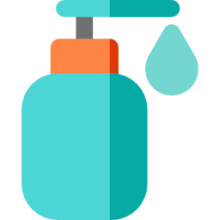 Even though it does come with its own shave cream users are not limited to using just the hot lather machines brand of cream, other creams and gels can be used. Many users like how easy the Andis RAZR Pro lather machine is to fill and that the machine heats up the lather in about 15 minutes which is a relatively quick time compared to some other similar units on the market. Some users did complain that this hot lather dispenser does not produce a thick lather as expected and desired. It was also noted by some users that the machine on times leaks as well and creates a mess. This hot lather dispenser by Salon Edge is a professional grade unit that has a lot of nice features that users enjoy each time they use this hot lather dispenser. Some of the features that users enjoy with this lather dispenser is its LED display screen that displays an easy to read temperature reading, it has the ability to control the temperature of the lather itself with its temperature control buttons and users love how simple it is to use by just one simple push of a button. They also liked the fact that this hot lather dispenser seems to be one of the fastest on the market when it comes to heating up the cream or gel by only taking 10 to 15 minutes to get the job done. The Salon Edge Professional Hot Lather Shave Dispenser is not only good for the normal user it is also considered by some users a good enough hot lather dispenser for professional barbers to use. There have been some users who have used the unit that have said that they didn’t care for how slow that it dispensed the lather but did love the result of a nice soft and fluffy lather. Some users of this hot lather dispenser did say that their units did have issues with leaking. If you're looking to purchase a heated shaving cream dispenser, or hot lather machine, as they are also known, for a hot shave, check out the reviews on this page and reference the comparison table to get a sense of what's available on the market today. You might be a professional barber that needs a high-quality shaving cream dispenser on hand, or a guy that just likes the experience of a hot shave every couple of days, or maybe you are shopping for a gift for a male relative- these make great Father's Day and birthday gifts for dads and brothers. Heated shaving cream dispensers enable you to really get a tight and close shave- and the warm lather makes it almost an enjoyable and ceremonious occasion. Hot lather machines generally work with most national shaving cream brands-but check ahead to make sure if you are really particular about the type of shaving cream that you like to use.